Omega-3 fatty acids are one of four basic fats that the body derives from foods. While many other fats are harmful, omega-3s benefit the body and are especially good for the heart. 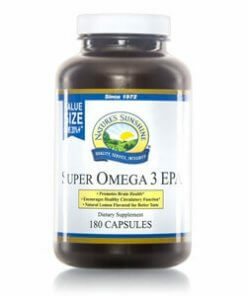 Super Omega-3 EPA is a source of two fatty acids, EPA and DHA. Supportive but not conclusive research shows that the consumption of EPA and DHA omega-3 fatty acids may reduce the risk of coronary heart disease. 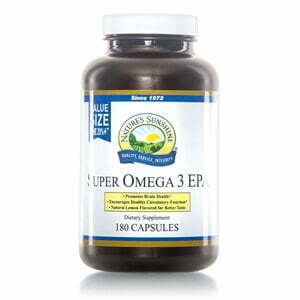 The body uses omega-3 fatty acids as one of the primary components of cell membranes. Super Omega-3 EPA softgel capsules contain approximately 1,000 mg fish oil, with a ratio of 33:16 EPA to DHA per softgel capsule. It also contains lemon to signficantly reduce the aftertaste from fish oil and to reduce gas.